Steve Buscemi as Enoch “Nucky” Thompson in “Golden Days for Boys and Girls”, Episode 5.01 of Boardwalk Empire. 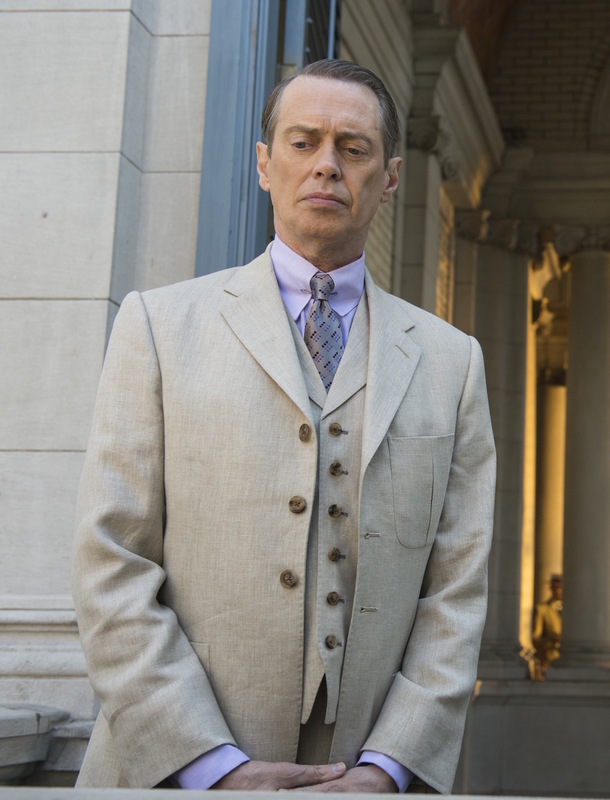 To commemorate this unofficial start of summer with Memorial Day tomorrow, BAMF Style is checking in with fashion plate Nucky Thompson from Boardwalk Empire as he enjoys a warm spring evening in Havana at the start of the fifth season. Geoffrey Rush as Harry Pendel in The Tailor of Panama (2001). 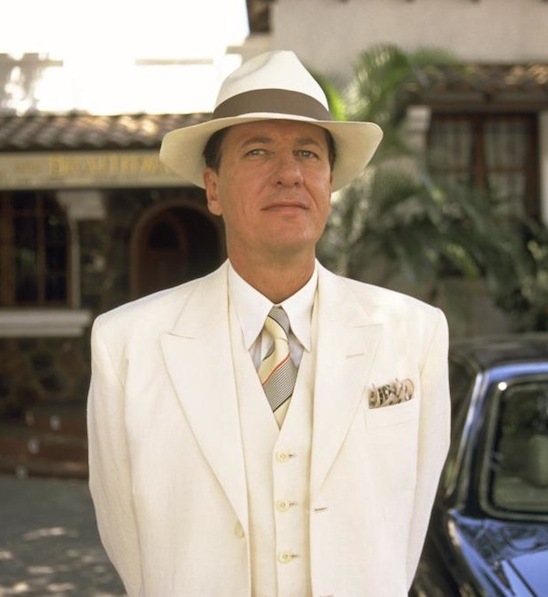 I tend to get grumpy about sartorial “rules”, including the snobbish American insistence that white can only be worn between Memorial Day and Labor Day. While I wouldn’t see much of a need to wear white (or that of its ilk) on a chilly winter day in Pittsburgh, it’s still frustrating to be informed what I can and can’t wear. For all of his faults, Boss Hogg deserves some credit for refusing to yield to arbitrary rules of dress and proudly wearing his white busting-at-the-seams three-piece suit all year round. 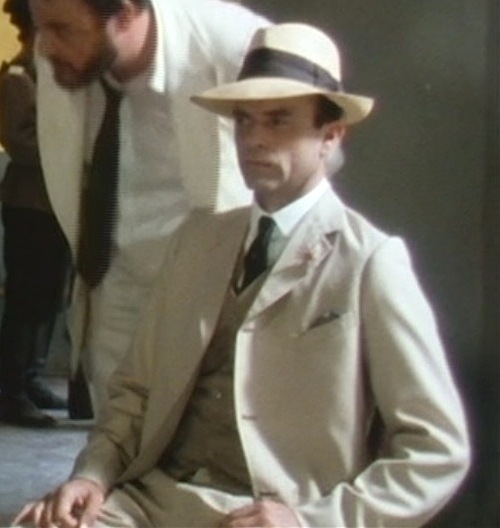 Sam Neill as Sidney Reilly in “An Affair with a Married Woman”, the first episode of Reilly: Ace of Spies. Warren Beatty as Clyde Barrow in Bonnie and Clyde (1967). It was around this time in late November 1932 that an awkward and maladjusted Texas hoodlum decided he wanted to make the jump from armed robber and spree killer to big-time bank-robbing gang leader. 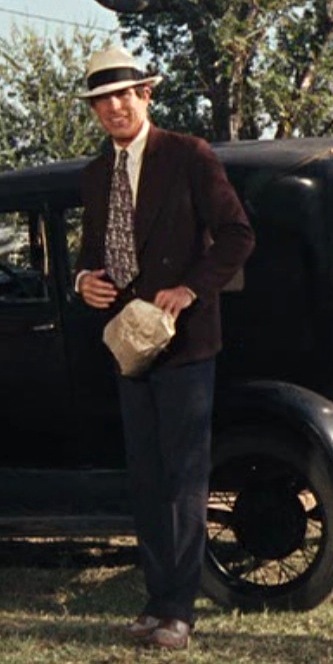 Now 23 years old, Clyde Barrow already had numerous arrests dating back to an aborted attempt to steal a rental car and impress a girlfriend (not Bonnie, in case you’re curious.) He’d spent two years in prison, having endured sexual and physical abuse for most of it, and now graced headlines of small Texas newspapers with the notoriety of a gutless killer with the blood of two shopkeepers and a deputy sheriff attributed to him (not to mention that of the most abusive inmate from his prison stretch). With Labor Day coming up, this is your last chance to toss in any summer vacations that may be in the works. Make sure you travel in style. 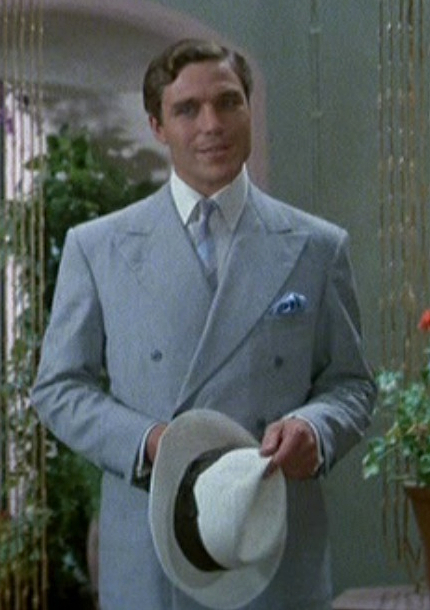 Nicholas Clay as Patrick Redfern in Evil Under the Sun.